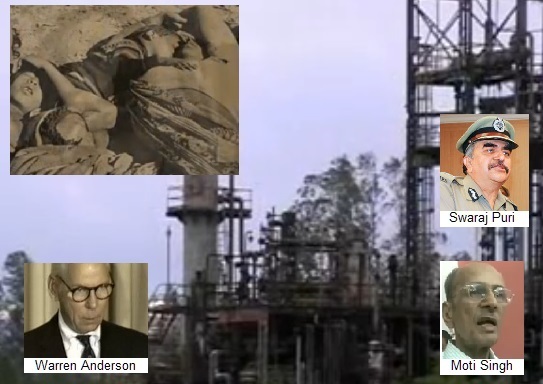 Bhopal: A trial court in the State capital has ordered that a case be filed against the then Bhopal collector and Superintendent of Police for letting prime accused and the then Union Carbide chairman Warren Anderson flee the country immediately after the 1984 Bhopal gas disaster. Bhopal Chief Judicial Magistrate Bhubhaskar Yadav on Saturday (19 November) issued the order to book the then collector Moti Singh and SP Swaraj Puri after hearing a petition by social activist Abdul Jabbar and lawyer Shahnawaz Hussain. The then Bhopal Collector Moti Singh and SP Swaraj Puri, who later rose to become the State Director General of Police, have been asked to appear in court on December 8.